Regular Savings Plan (RSP) is an investment plan that offers a consistent and disciplined means of investment that provides access to stocks and unit trusts with low cost on a monthly basis. In Phillip, we offer a regular fixed-dollar amount investment plan which enables you to buy shares or unit trusts. By investing a fixed amount of funds consistently every month over a period of time, you will eventually buy more units when prices are low and less units when prices are high. This investment method is known as dollar-cost averaging, and it is especially useful in hedging against market volatility where it lessens the risk of investing a large amount in a single investment. New to investing? If you are conservative and would like to start small, this plan could be ideal for you as you could start from as low as $100. The most important thing about setting goals in life is having one. Whether you are planning for retirement, saving for your children’s education or aiming to achieve other financial objectives, Regular Savings Plan (“RSP”) could potentially help you reach your goals with peace of mind. RSP is an investment plan that offers a consistent and disciplined means of investment that provides access to stocks and unit trusts with low cost on a monthly basis. It is difficult to time the market where the prices fluctuate all the time. However, by adapting the approach of dollar-cost averaging, it turns market fluctuations to your benefit. Instead of investing a lump sum of your money, you are gradually building your portfolio over a period of time with a smaller-fixed amount of regular investment. By investing a fixed amount of funds consistently every month over a period of time, dollar cost averaging benefits you regardless of price fluctuation. You purchase more units when the price is lower and fewer units when the price is higher. Receive up to $100* worth of Bonus when you sign up for Share Builders Plan and invest in Phillip SING Income ETF. a)	Sign up for Share Builders Plan and receive up to $50* Bonus. This promotion is valid from 7th January 2019 to 30th June 2019, both dates inclusive. Promotion is applicable for New Share Builders Plan (SBP) Applications. Promotion is Not applicable for Junior Share Builders Plan (JSBP) Applications. To be eligible for the promotion, you need to invest a minimum of S$200 monthly. Bonuses are capped at S$50. You will not qualify for this promotion if you have suspended your SBP within the 6 months prior to the start of the promotion. You will also not qualify for this promotion if you have terminated your SBP within the 6 months prior to the start of the promotion, and then applied for a new SBP during the promotional period. Bonus Value is calculated based on the gross amount invested into any of the 38 counters excluding Phillip SING Income ETF in the first 3 months of account . Bonus Value is also calculated based on the lowest gross monthly amount invested. Bonuses will be credited into SBP accounts by 30th September 2019 as excess funds, and cannot be withdrawn as cash. Any Bonus Value credited from this promotion will be forfeited if you terminate/suspend your SBP in the period from 1st October 2019 to 30th April 2020, both dates inclusive. Monthly handling charges still apply with this promotion. This promotion is subject to Phillip Securities Pte Ltd’s standard terms and conditions of business, where applicable, and Phillip Securities Pte Ltd reserves the right at its absolute discretion to clients’ entitlement for the promotion; to amend the terms and conditions of, or to terminate this promotion without prior notice or liability to any person. In the event of any dispute involving the interpretation of terms and conditions or any disagreement arising from this promotion, Phillip Securities Pte Ltd reserves the right to make the final decision. By taking part in this promotion, you acknowledge that you have read, understood and consented to these Terms and Conditions. Promotion is applicable for all New Share Builders Plan (SBP) Applications including Junior Share Builders Plan (JSBP) Applications. Promotion is also applicable to existing SBP clients who invest fresh funds (top-ups to SBP) into Phillip SING INCOME ETF. For new SBP applicants, Bonus Value is calculated based on the amount invested into Phillip SING Income ETF in the first 3 months of account opening. For existing SBP customers, Bonus Value is calculated based on the amount of fresh funds invested into Phillip SING Income ETF over 3 consecutive months from 1st January to 30th June 2019, both dates inclusive. Bonus Value is also calculated based on the lowest monthly amount invested into Phillip SING Income ETF. Junior Share Builders Plan: Enjoy 12 months handling fee rebates* when you sign up for Junior Share Builders Plan for your child. As a parent, you always want the best for your children. Whether you are saving for their education, the deposit for their first house, in preparation for their future wedding or starting up a business – given the ever-rising cost of living, it is good to start as early as possible. Sign up now from 7th January to 30th June 2019 and get to enjoy 12 months handling fee rebates*. Enjoy 12 months handling fee rebates when you sign up for Junior Share Builders Plan for your child. This promotion is valid from 7th January 2019 to 30th June 2019. Promotion is applicable for all New Junior Share Builders Plan (SBP) Application submitted during the promotion period. Existing Junior SBP customers who terminate or suspend the current SBP and apply for a new Junior SBP during the promotion period will not be eligible. However, existing customers who sign up for an additional Junior SBP will be eligible for the promotion. The 12 months handling fees rebate is subjected to successful investment upon approved GIRO linkage; the rebate will be credited into the SBP on the following month. The full amount of the credit received will be debited from the SBP should it be suspended or terminated within the 12 months. PSPL’s decision on all matters relating to the Promotion will be at its absolute discretion and will be final and binding on all applicants. This promotion is subjected to Phillip Securities Pte Ltd’s standard terms and conditions of business where applicable, and Phillip Securities Pte Ltd reserves the right at its absolute discretions to amend the terms and conditions of, or terminate this promotion without prior notice. In the event of any dispute involving the interpretation of terms and conditions or any disagreement arising from this promotion, Phillip Securities Pte Ltd reserves the right to make the final decision. By taking part in this promotion, the participant acknowledges that he/she has read and consented to these Terms and Conditions. A-REIT is the largest and most diversified business space and industrial real estate investment trust listed in Singapore. A-REIT’s portfolio comprises of 102 properties in Singapore, 26 properties in Australia and 2 business park properties in China, with a total asset base of about S$8.3b. Its properties cater to a tenant base of around 1,430 international and local companies from a wide range of industries such as research and development, life sciences, information technology, engineering, light manufacturing, logistics, electronics, telecommunications, manufacturing services and back-room support office. A-REIT is listed in several indices. These include the FTSE Straits Times Index (with effect from 4 June 2014), the Morgan Stanley Capital International, Inc (MSCI) Index, the European Public Real Estate Association/National Association of Real Estate Investment Trusts (EPRA/NAREIT) Global Real Estate Index and Global Property Research (GPR) Asia 250. A-REIT has an issuer rating of “A3” by Moody’s Investor Services, and is managed by Ascendas Funds Management (S) Limited (in its capacity as manager of A-REIT), a wholly-owned subsidiary of the Singapore-based Ascendas Group. A-HTRUST is a stapled group comprising A-HREIT and A-HBT. The units in A-HREIT and A-HBT are stapled together under the terms of a stapling deed and cannot be traded separately. A-HREIT is a Singapore-based REIT and A-HBT is a Singapore-based business trust. They are established with the principal investment strategy of investing, directly or indirectly, in a diversified portfolio of income-producing real estate used predominantly for hospitality purposes, located across Asia, Australia and New Zealand, as well as real estate-related assets in connection with the foregoing. In addition, A-HBT’s investment policy also includes the operation and management of the real estate assets which are held by A-HREIT and/or A-HBT. The Manager, ART Management Pte Ltd was incorporated in Singapore on 22 November 2005 and changed its name to ART Management Limited. The Manager subsequently changed its name to “Ascott Residence Trust Management Limited on 20 January 2006. ART is the first Pan-Asian serviced residence real estate investment trust established with the objective of investing primarily in real estate and real estate related assets, which are income-producing. Its initial asset portfolio comprises 12 serviced residences and rental housing property located in Singapore, China, Vietnam, Philippines, and Indonesia. These properties are predominantly used as serviced residences or rental housing properties in the Pan-Asian Region. The Manager is a direct wholly-owned subsidiary of Ascott. The Ascott Group is a leading international serviced residence provider which owns and/or manages more than 15,000 serviced residence apartment units in key cities of Europe, Asia-Pacific and the Gulf region. Headquartered in Singapore, the Ascott Group pioneered Pan-Asia’s first branded luxury serviced residence in 1984. The Ascott Group has extensive experience in the ownership and management of serviced residences as well as an established network of relationships with developers and service providers in Singapore and the Pan-Asian Region. The Manager believes that ART can leverage on the Ascott Group’s network to achieve its business objectives and provide ART with access to the market and network of contacts in the Pan-Asian serviced residence sector. CapitaLand Limited (“CapitaLand”) was created from the merger of Pidemco Land and DBS Land in November 2000. CapitaLand was listed on 21 November 2000 while DBS Land was delisted on 27 November 2000. Headquartered and listed in Singapore, the multinational company’s core businesses in real estate, hospitality and real estate financial services are focused in growth cities in Asia Pacific, Europe and the Gulf Cooperation Council (GCC) countries. The company’s real estate and hospitality portfolio spans more than 120 cities in over 20 countries. CapitaLand also leverages on its significant asset base, real estate domain knowledge, financial skills and extensive market network to develop real estate financial products and services in Singapore and the region. CapitaLand Commercial Trust is Singapore’s first and largest commercial REIT with a market capitalisation of approximately S$6.6 billion. CCT aims to own and invest in real estate and real estate-related assets which are income producing and predominantly used, for commercial purposes. CCT’s deposited property is approximately S$11.6 billion as at 30 June 2018 comprising a portfolio of 10 prime commercial properties in Singapore and one property in Frankfurt, Germany acquired on 18 June 2018. The properties in Singapore are Capital Tower, CapitaGreen, Asia Square Tower 2, Six Battery Road, Raffles City (60.0% interest through RCS Trust), One George Street (50% interest through OGS LLP), HSBC Building, Twenty Anson, Bugis Village and CapitaSpring (45% interest through Glory Office Trust and Glory SR Trust), an upcoming 51-storey integrated development in Raffles Place. The property in the Banking District of Frankfurt, Germany is Gallileo (94.9% interest). CCT has been a constituent of FTSE4Good Index Series (FTSE4Good), a series of benchmark and tradable indices derived from the globally recognised FTSE Global Equity Index Series. FTSE4Good is designed to track the performance of companies meeting international corporate responsibility standards and forms the basis for over 70 different funds and investment products. CCT is also a constituent of other widely recognised benchmark indices such as MSCI, the SGX Sustainability Index and FTSE Straits Times Index. CCT is managed by an external manager, CapitaLand Commercial Trust Management Limited, which is an indirect wholly owned subsidiary of CapitaLand Limited, one of Asia’s largest real estate companies headquartered and listed in Singapore. CapitaLand Mall Trust (CMT) is the first Real Estate Investment Trust (REIT) listed on Singapore Exchange Securities Trading Limited (SGX-ST) in July 2002. CMT is also the largest REIT by market capitalisation, S$7.6 billion (as at 31 March 2015) in Singapore. CMT has been assigned an ’A2’ issuer rating by Moody’s Investors Service on 19 March 2013. The ’A2’ issuer rating is the highest rating assigned to a Singapore REIT. CMT owns and invests in quality income-producing assets which are used, or predominantly used, for retail purposes primarily in Singapore. As at 31 March 2015, CMT’s portfolio comprised a diverse list of close to 3,000 leases with local and international retailers and achieved a committed occupancy of 97.2%. CMT’s 16 quality shopping malls, which are strategically located in the suburban areas and downtown core of Singapore, comprise Tampines Mall, Junction 8, Funan DigitaLife Mall, IMM Building, Plaza Singapura, Bugis Junction, Sembawang Shopping Centre, JCube, Raffles City Singapore (40.0% interest), Lot One Shoppers’ Mall, 90 out of 91 strata lots in Bukit Panjang Plaza, Rivervale Mall, The Atrium@Orchard, Clarke Quay, Bugis+ and Westgate (30.0% interest). CMT also owns 122.7 million units in CapitaLand Retail China Trust, the first China shopping mall REIT listed on SGX-ST in December 2006. As at 31 March 2015, the total deposited properties size of CMT is approximately S$10.9 billion. Incorporated in 1963, City Developments Ltd is a leading residential developer. CDL has built over 15,000 fine homes since 1963. It is also one of Singapore’s biggest commercial landlords with more than 30 prime commercial buildings. With a stable of 101hotels, the CDL Group is a leading hotel owner and operator. Its portfolio includes the Millennium, Copthorne and Kingsgate chains of hotels. Operating in 18 countries, CDL has 7 companies listed on stock exchanges in Singapore, London, Amsterdam, Hong Kong, New Zealand and Manila. ComfortDelGro is a public listed passenger land transport company, with a fleet of more than 38,700 vehicles world-wide. The Group has a global workforce, a global shareholder base and a global outlook. With their beginnings in the early 70s, Comfort Group and DelGro Corporation were both listed land transport companies. On 29 March 2003, ComfortDelGro Corporation was formed through the merger of the two. ComfortDelGro is listed on the Singapore Exchange. ComfortDelGro’s businesses include taxi, bus, rail, car rental and leasing, automotive engineering and maintenance services, inspection, test and assessment services, learner drivers’ instruction services, insurance brokerage services and outdoor advertising. DBS Group Holdings Limited is the holding company for DBS Bank, a leading financial services group in Asia, with over 280 branches across 17 markets. Headquartered and listed in Singapore, DBS has a growing presence in the three key Asian axes of growth: Greater China, Southeast Asia and South Asia. Its capital position and “AA-” and “Aa1” credit ratings are among the highest in Asia-Pacific. DBS has been recognised for its leadership in the region, having been named “Asia’s Best Bank” by The Banker, a member of the Financial Times group, and “Best Bank in Asia-Pacific” by Global Finance. The bank has also been named “Safest Bank in Asia” by Global Finance for six consecutive years from 2009 to 2014. Frasers Centrepoint Trust (FCT) is a Retail Real Estate Investment Trust focused on growing shareholder value for its unitholders through active asset management, sound financial management and strategic investments. FCT invests primarily in quality income-producing retail properties and its initial portfolio consists of three quality suburban malls with a combined appraised value of S$936 million as at 30 September 2006. These well-established malls: Causeway Point, Northpoint and Anchorpoint, enjoy wide captive markets, good connectivity and high occupancy which provide the basis for a strong and sustainable income stream. As a developer-sponsored REIT, FCT has the ability to tap into Frasers Centrepoint Limited’s strong pipeline of quality assets and offers investors a greater investment potential through its acquisition growth strategy and active asset enhancement initiatives. Listed on the Main Board of the Singapore Exchange since 5 July 2006, FCT is managed by Frasers Centrepoint Asset Management, the real estate and fund management division of Frasers Centrepoint Limited. Frasers Logistics & Industrial Trust (“FLT”) is the first Singapore-listed real estate investment trust with a portfolio comprising 82 logistics and industrial properties, worth approximately A$2.8 billion, concentrated within major logistics and industrial markets in Australia, Germany and the Netherlands. FLT was listed on the Mainboard of Singapore Exchange Securities Trading Limited (“SGX-ST”) on 20 June 2016. FLT’s investment strategy is to invest globally in a diversified portfolio of income-producing industrial and logistics properties. With strong connectivity to key infrastructure, FLT’s modern portfolio consists predominantly of freehold and long leasehold land tenure assets with a well-diversified tenant base. FLT is sponsored by Frasers Property Limited. For more information about FLT, visit www.fraserslogisticstrust.com. Frasers Property Limited, a real estate company, owns, develops, and manages a diverse, integrated portfolio of properties. It operates through four business units: Singapore, Australia, Hospitality, and Europe and rest of Asia. The company’s assets range from residential, retail, commercial, and business parks, to industrial and logistics in Singapore, Australia, Europe, China, and Southeast Asia. Its hospitality business owns and/or operates serviced apartments and hotels in over 80 cities across Asia, Australia, Europe, the Middle East, and Africa. The company also acts as a sponsor of four vehicles listed on the SGX-ST, comprising three REITs, including Frasers Centrepoint Trust, Frasers Commercial Trust, and Frasers Logistics & Industrial Trust, focused on retail properties, office and business space properties and business parks, and logistics and industrial properties respectively, as well as one stapled trust, Frasers Hospitality Trust, focused on hospitality properties. The company was formerly known as Frasers Centrepoint Limited and changed its name to Frasers Property Limited in February 2018. Frasers Property Limited was incorporated in 1963 and is headquartered in Singapore. Frasers Property Limited is a subsidiary of TCC Assets Limited. Genting Singapore Limited, an investment holding company, engages in the development, management, and operation of integrated resort destinations in Asia. Its integrated resort destinations comprise gaming, hospitality, MICE, leisure, and entertainment facilities. The company primarily owns Resorts World Sentosa, a destination resort, which offers a casino, Adventure Cove Waterpark, S.E.A. Aquarium, Universal Studios Singapore Theme Park, MICE facilities, hotels, Michelin starred restaurants, and specialty retail outlets. It is also involved in the operation of casinos; and provision of sales and marketing support services to leisure and hospitality related businesses, as well as in the investment activities. Genting Singapore Limited was incorporated in 1984 and is headquartered in Singapore. Genting Singapore Limited is a subsidiary of Genting Overseas Holdings Limited. From its humble beginnings as a local ship repair yard in Singapore in the 1960s, the Keppel Group has expanded into three key businesses of Offshore & Marine, Infrastructure and Property, with operations spanning over 30 countries. The Keppel Group of Companies includes Keppel Offshore and Marine, Keppel Integrated Engineering, Keppel Energy, Keppel Telecommunications and Transportation, K-Green Trust, Keppel Land and K-REIT Asia, among others. Keppel Offshore & Marine is the global leader in offshore rig design and construction, ship repair and conversion, and specialised shipbuilding. With its core competencies and strong execution capabilities, it is the partner of choice in its chosen segments. Its strategic global network of over 20 yards and offices serving regions including Asia Pacific, Gulf of Mexico, Brazil, Caspian Sea, Middle East and the North Sea, enables effective execution of the Group’s Near Market, Near Customer strategy.The Infrastructure business comprises environmental engineering, power generation, logistics and data centre businesses. Keppel Integrated Engineering is a leading global provider of environmental solutions and engineering services, offering a complete range of water and thermal technology for municipal and industrial clients. Keppel Energy has a track record of developing, owning and operating power plants in Singapore, Asia and Latin America, while Keppel Telecommunications and Transportation is a leading service provider in Southeast Asia and Europe with businesses in logistics and data centres. Keppel Land transforms cityscapes across Asia as the premier developer with a sterling portfolio of award-winning residential developments, integrated townships and investment-grade commercial properties. With a geographical spread across Asia with particular focus on Singapore, China, Vietnam and Indonesia, Keppel Land has a strategic focus on property development and property fund management. Listed by way of an introduction on 28 April 2006, K-REIT Asia was renamed Keppel REIT on 15 October 2012. Keppel REIT is one of the largest real estate investment trusts (“REITs”) listed on the Singapore Exchange Securities Trading Limited (“SGX-ST”). Keppel REIT’s objective is to generate stable income and long-term growth for Unitholders by owning and investing in a portfolio of quality income-producing commercial real estate and real estate-related assets in Singapore and across Asia. As at 30 September 2012, Keppel REIT has an asset size of $6.35 billion comprising eight premium commercial assets strategically located in the central business districts of Singapore, and key cities of Sydney and Brisbane in Australia. In Singapore, Keppel REIT owns Bugis Junction Towers, a one-third interest in Marina Bay Financial Centre Towers 1 & 2 and Marina Bay Link Mall (“MBFC Phase I”), a 99.9 percent interest in Ocean Financial Centre, a one-third interest in One Raffles Quay, and a 92.8 percent interest in Prudential Tower. In Australia, Keppel REIT owns the 77 King Street Office Tower and a 50 percent interest in 8 Chifley Square, both in Sydney as well as a 50 percent interest in 275 George Street in Brisbane. On 26 September 2012, Keppel REIT announced the acquisition of a 50 percent interest in a new office tower to be built on the site of the Old Treasury Building in Perth, Australia. Keppel REIT is sponsored by Keppel Land Limited (Keppel Land), one of Asia’s leading property developers, and managed by Keppel REIT Management Limited, a wholly-owned subsidiary of Keppel Land. Lion Global Investors and Phillip Capital Management jointly present the first ETF in Singapore that focuses on Singapore REITs – the Lion-Phillip S-REIT ETF. This collaboration marks the first time two Singapore fund management firms come together to launch an innovative investment product for investors. This ETF closely tracks the Morningstar® Singapore REIT Yield Focus IndexSM, which is designed to screen for high-yielding Real Estate Investment Trusts with superior quality and financial health, using a 3-factor proprietary methodology. MCT is a Singapore-focused REIT that invests on a long-term basis, directly or indirectly, in a diversified portfolio of income-producing real estate used primarily for office and/or retail purposes, whether wholly or partially, in Singapore, as well as real estate related assets. MCT’s portfolio comprises VivoCity, Mapletree Business City I (“MBC I”), PSA Building, Mapletree Anson, Bank of America Merrill Lynch HarbourFront (“MLHF”). These five assets have a total NLA of 3.9 million square feet with a total value of S$6,682 million. For more information, please visit www.mapletreecommercialtrust.com. Mapletree Industrial Trust (“MIT”) was constituted as a private trust on 29 January 2008. On 1 July 2008, MIT acquired its portfolio of 64 properties from JTC Corporation (“JTC”), comprising 27 property clusters, being the IPO Portfolio excluding the Mapletree Singapore Industrial Trust (“MSIT”) Portfolio. Mapletree Industrial Trust is a Singapore real estate investment trust (“REIT”) established with the principal investment strategy of investing, directly or indirectly, in a diversified portfolio of income-producing real estate used primarily for industrial purposes, whether wholly or partially, in Singapore, as well as real estate-related assets. Nikko Asset Management is one of Asia’s largest asset managers, providing high-conviction, and active fund management across a range of Equity, Fixed Income and Multi-Asset strategies. Their complementary range of passive strategies covers more than 20 indices and includes some of Asia’s largest exchange-traded funds (ETFs). The Nikko AM SGD Investment Grade Corporate Bond ETF (the “Fund”) is the first to offer investors easy access to Singapore Dollar-denominated, investment grade corporate bonds in affordable units. The Fund aims to replicate the performance of the iBoxx SGD Non-Sovereigns Large Cap Investment Grade Index (the “Index”), allowing investors to diversify their portfolios with corporate bonds from high quality issuers#. Oversea-Chinese Banking Corpn Ltd was incorporated in Singapore on 31 October 1932 to carry on business in banking and finance. The Bank is the successor to Chinese Commercial Bank Ltd, Ho Hong Bank Ltd and the Overseas-Chinese Bank Ltd.
OCBC Bank offers a comprehensive range of banking services and financial solutions in consumer banking, business banking, international banking, global treasury and investment management. The OCBC Group has diverse subsidiaries that are involved in financial futures, regional stockbroking, trustee, nominee and custodian services, property development and hotel management. In August 2001, OCBC Bank acquired Keppel Capital Holdings Ltd and all its subsidiaries, including Keppel TatLee Bank Ltd, Keppel Securities Pte Ltd and Keppel TatLee Finance Ltd. On 25 February 2002, OCBC Bank and Keppel TatLee Bank were operationally and legally integrated. OCBC Bank currently has assets of S$151 billion and a network of over 370 branches and representative offices in 15 countries and territories including Singapore, Malaysia, Indonesia, Vietnam, China, Hong Kong SAR, Brunei, Japan, Australia, UK and USA. This network includes more than 250 branches and offices in Indonesia operated by OCBC Bank’s subsidiary, PT Bank NISP. OCBC Bank and its banking subsidiaries offer a wide range of specialist financial services, from consumer, corporate, investment, private and transaction banking to global treasury and stockbroking services to meet the needs of its customers across communities. SATS Ltd., an investment holding company, provides gateway services and food solutions in Singapore, Japan, and internationally. The company operates in three segments: Food Solutions, Gateway Services, and Others. It offers food solutions, such as inflight and institutional catering, chilled and frozen food processing, food distribution, and airline laundry services. The company also provides gateway services, such as airfreight handling, passenger, aviation security, baggage handling, and apron services; operates and manages the Singapore International Cruise Terminal at Marina South; and rents premises. In addition, it offers airport ground handling, airport cargo delivery management, ramp, operations control, abattoir, land logistics, remote catering, and housekeeping and other allied services, as well as technical and management services for agri–food business; and operates as an auctioneer of pigs. The company serves airline, hospitality, healthcare, food, and airfreight and logistics industries, as well as government. The company was formerly known as Singapore Airport Terminal Services Limited and changed its name to SATS Ltd. SATS Ltd. was founded in 1972 and is based in Singapore. Sembcorp Industries was incorporated in Singapore on 20 May 1998 to act as the holding company for the merger between Singapore Technologies Industries Corporation (STIC) and Sembawang Corporation. On 22 July 1998, it assumed its present name. The merger was effective on 3 October 1998. This business focuses on the provision of centralised utilities and energy. It offers industrial utilities and services such as energy, steam, industrial water and wastewater treatment to energy intensive users. It operates in Singapore, the United Kingdom, Vietnam, China and the United Arab Emirates. This business focuses principally on repair, building and conversion of ships and rigs, and offshore engineering. The business provides integrated waste management services and undertakes waste-to-resource businesses in the Asia Pacific region. The business focuses principally on developing, marketing and operating industrial parks in Asia. Jurong Shipyard Ltd was incorporated on 25 April 1963, as a joint venture between Ishikawajima-Harima Heavy Industry Co Ltd (IHI) and Temasek Hldgs (Pte) Ltd. IHI is one of the largest integrated heavy industrial conglomerates in Japan. Over the years, the Group has established itself as a major ship repairing force in the Asia-Pacific region. In 1997, the Company acquired Sembawang Shipyard, Karimun Shipyard (Indonesia) and Bohai Shipyard (China) from Sembawang Corpn. Consequently, Sembawang Corp made a general offer to acquire a majority stake in the Company. In 1998, Sembawang Corp merged with Singapore Technologies Industrial Corp (STIC) to form the SembCorp group. On 21 January 2000, the Company adopted its present name. SembCorp Marine is a global marine engineering group specialising in ship repair, newbuilding, ship conversion and offshore engineering. With a combined docking capacity of 2.3 million dwt, it offers one of the largest ship repair, ship conversion and offshore and marine-related facilities in East Asia. Its global hub now spans eight shipyards strategically located around the world – four in Singapore, two in China and one each in Indonesia and Brazil – which operate as distinct brand names focusing their expertise to fulfil the unique needs of their respective market niches. As the marine engineering arm of SembCorp Industries, SembCorp Marine will capitalise on the strong branding and reputation of its shipyards to forge new frontiers across segments of the global marine industry. SGX was formed in 1999 in order to effectuate the demutualization and merger of the two exchanges: Stock Exchange of Singapore and Singapore Intl Monetary Exchange. Prior to the merger, each exchange was owned by the member firms that engaged in trading and clearing and settlement functions. Pursuant to legislation adopted to effect the merger, SGX was created to own the exchanges and their related clearing houses, and the former owners and seat holders were given shares in SGX in exchange for their shares and seats in the two exchanges. SGX owns and operates the only integrated securities exchange and derivatives exchange in Singapore and their related clearing houses. The securities exchange was the first fully electronic and floorless exchange in Asia. The derivatives exchange is one of the largest in Asia and was named “Derivatives Exchange of the Year” in 1989, 1992, 1993 and 1998 by the International Financing Review and “Asia’s Best Derivatives Exchange in 1999” by The Asset magazine. Together, the two exchanges serve a wide array of international and domestic investors and end users, including many of the world’s largest financial institutions, and have been among the most innovative exchanges in the world in technological and new product development. SGX has been developing alliances and new products in order to meet the changing needs of the international and domestic financial communities. SGX was a founding member of the GLOBEX Alliance together with some other leading derivatives exchanges. It also has alliances or significant relationships with the Chicago Mercantile Exchange, the American Stock Exchange, the Australian Stock Exchange and the National Stock Exchange of India. SGX has introduced a variety of securities and derivatives products to respond to investors’ desires for 24-hour trading, diversification and trading across markets. Singapore Airlines Limited (“Singapore Airlines”) was incorporated as a public company with limited liability and a wholly-owned subsidiary of Temasek Holdings (Private) Limited on 28 January 1972. Its history began in 1947 when a twin-engined Airspeed Consul under the Malayan Airways Ltd’s insignia started scheduled services between Singapore, Kuala Lumpur, Ipoh and Penang. Malayan Airways Ltd grew steadily and by 1955, international services were added to its operations. With the formation of the Federation of Malaysia in 1963, the airline was renamed Malaysian Airways Ltd. In 1966 the governments of Malaysia and Singapore acquired joint control of the airline, which was then renamed Malaysia-Singapore Airlines Ltd (“MSA”). In 1971, MSA was restructured into 2 entities: Singapore Airlines and Malaysia Airline System. Singapore Airlines, a full member of the global Star Alliance, is one of the world’s premium airlines, with the distinction of operating a young and modern fleet. The Singapore Airlines route network extends across 105 destinations in 37 countries, including those served by its subsidiaries, Singapore Airlines Cargo and SilkAir. The Singapore Airlines Group has over 20 subsidiaries, covering a range of airline-related services, from cargo to engine overhaul. Its subsidiaries also include SIA Engineering Company, Scoot, Tiger Airways, Singapore Flying College and Tradewinds Tours and Travel. Principal activities of the Group consist of air transportation, engineering services and other airline related activities. The Group is Singapore’s dominant provider of domestic and international postal services, with a history, through its predecessors, dating back to 1819. The Singapore Postal Services Department became fully autonomous body in January 1967. Following a merger in 1982, the Telecommunication Authority of Singapore (‘TAS’) took over the provision of postal services from the Postal Services Department. In the late 1980s, the Singapore Government announced plans to privatise the telecommunications services provided by the TAS. SingPost Limited was incorporated on 28 March 1992. Pursuant to a licence granted by the Info-communications Development Authority of Singapore, SingPost is granted the exclusive provider of basic mail services with respect to letters and postcards (excluding express letters) in Singapore until 31 March 2007, and a non-exclusive provider of these services until 31 March 2017. SingPost provides mail business, local and international express delivery services, warehousing, fulfilment and distribution services and retail services through its distribution channels. Singapore Telecommunications Ltd (SingTel) was corporatized on 1 April 1992 and is licensed to provide telecommunications and postal services in Singapore. The company was listed on the local stock exchange in November 1993 and is majority-owned (2006: 54.27 percent) by Temasek Holdings (Private) Limited. SingTel has operations and investments in more than 20 countries and territories worldwide. The SingTel Group has major investments in mobile operators in the region. It owns stakes ranging from 21.4 percent to 45.0 percent in AIS in Thailand, Bharti in India, Globe in the Philippines, Pacific Bangladesh Telecom in Bangladesh and Telkomsel in Indonesia. The mobile market growth in India and Indonesia has seen Bharti and Telkomsel add more than five million new customers every quarter. In Singapore, SPH publishes 17 newspaper titles in four languages. Every day, 3 million individuals or 79 per cent of people above 15 years old, read one of SPH’s news publications. SPH also publishes and produces more than 100 magazine titles in Singapore and the region, covering a broad range of interests from lifestyle to information technology. Beyond print, the Internet editions of SPH newspapers enjoy over 225 million page views with 14 million unique visitors every month. Apart from SPH AsiaOne portal, SPH’s online and new media initiatives include an online marketplace for products, services and employment, ST701; local search and directory engine, rednano.sg; Stomp (Straits Times Online Mobile Print), a portal that connects, engages and interacts with readers on the Web and via mobile phone messaging; OMY, a bilingual news and interactive portal and The Straits Times RazorTV, a free access interactive webcast service offering live chat shows and video-on-demand clips. Singapore Technologies Engineering Ltd (ST Engineering) is an integrated engineering group that provides innovative solutions and services in the aerospace, electronics, land systems and marine sectors. Incorporated in 1997 and headquartered in Singapore, it ranks among the largest companies listed on the Singapore Exchange, and is one of Asia’s leading engineering groups. Its global network of over 100 subsidiaries and associated companies, supported by a workforce of about 23,000, allows it to serve customers in the Americas, Europe, Asia and Oceania. A leader in each of its core businesses, ST Engineering leverages multi-sector capabilities to develop advanced solutions for commercial and defence customers across industries. Its aerospace arm offers a wide spectrum of aircraft maintenance, engineering and training services for both military and commercial aircraft operators. These services include airframe, component and engine maintenance, repair and overhaul, engineering design and development, materials support, asset management and pilot training. Its electronics arm specialises in the design, development and integration of advanced electronics, ICT and communications systems for government, defence, commercial and industrial customers worldwide. Its land systems arm delivers integrated land systems, specialty vehicles and their related through-life support for defence, homeland security and commercial applications. Its marine arm provides customised shipbuilding, repair and conversion services to both naval and commercial vessels, at its yards in Singapore and US. It also provides a host of environmental solutions through its environmental engineering subsidiary. StarHub is a info-communication company and the sole operator delivering a range of information, communications and entertainment services over fixed, cable, mobile and Internet platforms. StarHub operates a 3G mobile network in addition to its GSM network and is the provider of i-mode mobile Internet service over its 2.5G and 3G networks. StarHub also operates its own nation-wide HFC network that delivers multi-channel cable TV services (including Digital Cable), voice and Internet access for both consumer and corporate markets. streetTRACKS STI, Singapore’s first locally created exchange traded fund, is designed to track the performance of the Straits Times Index (STI). Shares of streetTRACKS STI were listed and traded on SGX-ST since 17 April 2002. The Fund’s investment objective is to replicate as closely as possible, before expenses, the performance of the Straits Times Index. There can be no assurance that the Fund will achieve its investment objective. The Fund will seek to achieve this objective by investing all, or substantially all, of its assets in Index Shares in substantially the same weightings as reflected in the Straits Times Index. Within the limits set out in the CPF Investment Guidelines, the Fund may invest in futures and derivatives instruments traded on Recognised Stock Exchanges and OTC Markets provided that such instruments are Authorised Investments. The Manager employs an “indexing” approach intended to replicate as closely as possible the performance, before expenses, of the Straits Times Index. The Straits Times Index is a widely quoted indicator of the performance of the Singapore stock market. It currently comprises 50 common stocks which are selected by Singapore Press Holdings Ltd based upon certain market capitalisation and liquidity characteristics. streetTRACKS Straits Times Index Fund has changed its name to SPDR Straits Times Index ETF with effect from 31 March 2011. Suntec REIT owns prime office and retail space in the Central Business District of Singapore (“CBD”). As at 30 September 2005, Suntec REIT’s portfolio comprised office and retail properties in Suntec City, a prime landmark property strategically located in the CBD and the largest integrated commercial complex in Singapore (including Singapore’s largest shopping mall). This portfolio was underpinned by a diversified pool of more than 411 retail and 124 office tenants bringing in a gross annualized revenue of over S$28.5million for the period ended 30 September 2007. In October 2005, Suntec REIT acquired Park Mall and announced the proposed acquisition of Chijmes, both prime properties also located in the CBD and served by major Mass Rapid Transit (MRT) Interchange Stations. Chijmes, in particular, is a historical landmark and recognized by UNESCO as an Asia Pacific Culture Heritage Conservation Building. Thai Beverage Public Company Limited, together with its subsidiaries, produces and distributes alcoholic and non-alcoholic beverages, and food products in Thailand and internationally. The company operates through Spirits, Beer, Non-Alcoholic Beverages, and Food segments. It offers liquor and beer products; spirits, including brown spirits, white spirits, herbs, and other products; and non-alcoholic beverages comprising drinking and soda water, electrolyte beverages, energy drinks, green and herbal tea, ready-to-drink coffee, carbonated soft drinks, isotonics, soya drinks, Asian and sparkling drinks, coconut water, cordials, pasteurized milk, UHT milk, sterilized milk, yoghurt, canned milk, pasteurized juice, ready-to-drink juice, ice cream, and cereal bars. The company also provides chilled and frozen food products, and snack products; and oak barrels, light construction bricks, fertilizers, animal feed and supplementary animal feed, etc. In addition, it engages in the operation of Japanese restaurants, bakeries, and social enterprise; production and distribution of biogas; trading of molasses; and the provision of advertising agency, marketing, training, consultancy, asset and brands management, transportation and distribution, procurement, and human resources and organization development services. Further, the company is involved in the trading of bottles and supplies; distribution of beverages; and production of plastic packaging and related businesses. Thai Beverage Public Company Limited was founded in 2003 and is based in Bangkok, Thailand. The Bank was incorporated as a public company under the name of United Chinese Bank Limited in 1935. The present name United Overseas Bank Limited was adopted in 1965. It was officially quoted on 20 July 1970 on the then Stock Exchange of Malaysia and Singapore, a predecessor of the Singapore Exchange Trading Securities Limited. Over the past 71 years, UOB has grown with Singapore. Through a series of acquisitions, it is now a leading bank in Singapore with banking subsidiaries in Malaysia, Thailand and Indonesia. Today, the UOB Group has a network of 502 offices in 18 countries and territories in Asia-Pacific, Western Europe and North America. Besides Far Eastern Bank in Singapore, UOB’s banking subsidiaries include United Overseas Bank (Malaysia), United Overseas Bank (Thai), PT Bank UOB Indonesia, PT Bank Buana Indonesia and United Overseas Bank Philippines. UOB provides a wide range of financial services through its global network of branches/offices and subsidiaries/associates: personal financial services, private banking, trust services, commercial and corporate banking, investment banking, corporate finance, capital market activities, treasury services, futures broking, asset management, venture capital management, general insurance, life assurance and stockbroking services. Through other subsidiaries, as well as associates, UOB also has diversified interests in travel, leasing, property development and management, hotel operations and general trading. UOL Group Limited, through its subsidiaries, primarily engages in property development and management, property investments, and hotel businesses. Its property development projects include residential units, office towers and shopping malls, and hotels and serviced suites. The company also owns and/or manages approximately 30 hotels under the Pan Pacific and PARKROYAL names in Asia, Oceania, and North America with approximately 10,000 rooms in its portfolio. In addition, it is involved in the rental of serviced suites, commercial offices, and retail malls; treasury services business; management of serviced suites; operation of restaurants; and management and operation of health and beauty retreats and facilities. Further, the company engages in the retail of computer hardware and software; property trading business; management and licensing of trademarks; retail management consultancy services business; and provision of information technology related products and services. UOL Group Limited has operations in Singapore, Australia, Vietnam, Malaysia, the People’s Republic of China, Myanmar, and the United Kingdom. The company was formerly known as United Overseas Land Limited and changed its name to UOL Group Limited in 2006. UOL Group Limited was founded in 1963 and is based in Singapore. Venture Manufacturing (S) Ltd was incorporated in 1984 to provide contract manufacturing services to companies in the electronics and computer-related industries. In 1989, the Company formed the Venture Group with the merger and acquisition of Multitech Systems Pte Ltd and Technocom Systems Sdn Bhd. The Venture group comprises about 30 companies with global clusters of excellence in South-East Asia, North-East Asia, the Americas and Europe. Venture offers high value-added and highly efficient manufacturing services to MNCs using state-of-the-art manufacturing process technology and test development capability. In addition, Venture provides an excellent range of pre-manufacturing services including design, prototyping and engineering services, as well as post-manufacturing services including after-sales repairs, customisation and fulfilment logistics. Venture Manufacturing (Singapore) Ltd changed its name to Venture Corporation Limited wef 17 May 2002. Wilmar International Limited operates as an agribusiness company in the People’s Republic of China and internationally. The company operates through four segments: Tropical Oils, Oilseeds and Grains, Sugar, and Others. It engages in the oil palm cultivation, harvesting, and milling activities that primarily provide crude palm oil and palm kernel; and milling of fresh palm fruit bunches. As of December 31, 2017, the company owned an oil palm plantation covering an area of 239,935 hectares in Indonesia, East Malaysia, and Africa. It is also involved in processing, merchandising, branding, and distributing palm oil and laurics related products, including oleochemicals and biodiesel; and oilseed products, such as soybean, rapeseed, groundnut, sunflower seed, sesame seed, cottonseed, canola, corn, and rice bran oil and meal products, as well as rice, flour, wheat bran meal, and bran and pollard to distributors, wholesalers, feed millers, industrial users, and retailers. In addition, the company produces and markets edible oil, rice, flour, grains, and noodles to traditional retail outlets, supermarkets, convenience stores, and hypermarts under its own brands. Further, it engages in milling, refining, merchandising, branding, and distributing white sugar, brown sugar, caster sugar, and syrups in bulk and packaged forms; the generation and sale of electricity; the manufacture and sale of bioethanol, as well as nitrogen, phosphorus, and potassium compound fertilizers; and the distribution of a range of chemicals and ingredients, as well as in ship-owning, chartering, brokering, and management activities. The company was founded in 1991 and is headquartered in Singapore. Share Builders Plan (“SBP”) is a regular fixed dollar amount investment plan, which enables you to buy shares on a consistent and incremental basis so as to build up a portfolio of securities for yourself eventually. Therefore, you do not need a huge amount of funds to invest in stock market since Share Builders Plan presents an opportunity for you to invest in stock market to buy small quantity at a reduced cost. What is Share Builders Plan (SBP)? Share Builders Plan is a regular fixed-dollar amount investment plan which enables you to buy shares on a consistent and incremental basis so as to build up a portfolio of securities for yourselves eventually. Therefore, you do not need a huge amount of funds to invest at a time. What is dollar-cost-averaging method of investment? By investing a fixed amount of funds consistently every month over a period of time, dollar cost averaging benefits you regardless of price fluctuation. You purchase more units when the price is lower and fewer units when the price is higher. This investment method is known as dollar-cost averaging. And it is especially useful in hedging against market volatility. With such a disciplined and consistent method, you will eventually build up a portfolio of stocks in average cost. Who is eligible to apply for SBP? Anyone above the age of 18 years old can apply for SBP. Individuals below the age of 18 years old must open a joint SBP with their parent / legal guardian only. Does SBP allow joint application? Yes, SBP allows joint application. Either one of the specimen signatures of both applicants is authorized and empowered to act in accordance to the terms and conditions binding SBP. For joint application with a child below 18 years old, a copy of the birth certificate must be submitted during application. How do I participate in SBP? You may complete an SBP Application Form together with an Interbank GIRO Application Form. If you do not have a trading account with Phillip Securities Pte Ltd (PSPL), you will need to open one. The purpose of the trading account is to facilitate your share liquidation from SBP in the future. Alternatively, you can apply online by the following steps: Login to POEMS > Acct Mgmt > Regular Savings Plan (RSP) > Share Builders Plan. What do I need to bring along when applying for SBP? You will need to bring along your NRIC or Passport & Work Permit / Employment Pass (for foreigners) and a valid bank account number that you want to use for the Inter-bank GIRO deduction. If you are opening a joint account with your child below 18 years old, please bring along the birth certificate of the child. What is the minimum amount that I have to invest? The minimum amount of investment is S$100 a month per counter. Can I choose the shares that I want to invest in? Yes, you can choose to invest in any of the 39 selected Singapore listed shares. What are the counters available? Click here for full counter list. How do I indicate the share counters that I want to invest in? You will have to fill in your investment instructions on the SBP Application Form. On the investment instructions, you have to indicate the share counter(s), the investment amount for each counter and select a preferred counter if you have more than one counter in your investment selection. The preferred counter is the counter that the handling fees will be deducted from. Moreover, if there are any excess funds in the SBP account resulting from the previous month’s left over or corporate actions (such as dividends, cash offers, bonus rights issue, etc.) they will be rolled over for the following month’s investment and reinvested into your preferred counter. How would I know how many shares I have? Every month, there will be a statement sent to your email address based on POEMS record, if you have opted in for e-statement. Please take note that a monthly administrative fee of $2.14 (inclusive of GST) will be levied for each physical statement that we send to you, if you do not opt in for e-statement. The statement will state the total shareholdings, current cash ledger balance and investment execution of the month. Alternatively, you can view your shareholdings via POEMS. Please login in to your POEMS > Acct Mgmt > Regular Savings Plan (RSP) > Share Builders Plan (SBP) > Portfolio. Can I apply for SBP through POEMS online? Yes, you can apply SBP through POEMS online by the following steps: Login to POEMS > Acct Mgmt > Regular Savings Plan (RSP) > Share Builders Plan. Can I amend the investment instruction? Yes, you can amend your investment instructions via POEMS or by completing the SBP Investment Amendment Form. Amendments can be made to the selection of counters and the investment amount. However, amendment for the month will be effected only if the instructions are completed and submitted to us 6 business days before the transaction date, which is on the 18th of every month or the next business day if 18th of the month is on a non-market day. Otherwise, the amendment will be effective from the next investment month. Can I temporarily suspend the SBP? Yes, you can suspend your SBP by completing the SBP Suspension Form. However, if the SBP is suspended for more than 3 months without any shareholdings. Phillip Securities Pte Ltd reserves the right in its sole and absolute discretion to terminate your SBP. How can I re-activate my SBP after it is suspended? You can re-activate your SBP account via POEMS or by completing the SBP Re-activation form. What will happen if my SBP is suspended? When your SBP is suspended, no further GIRO deduction will be effected from your bank account until you reactivate your SBP. During the suspension period, your shareholdings and cash balance remains in your SBP portfolio. All corporate actions for your shareholdings are still eligible. There is no maintenance fee during the suspension period except for the physical statement charge of S$2.14 per month, if you decided not opt-in for e-statement. If I want to terminate my account, what will happen to my SBP shareholdings? Before proceeding for termination, you can request Phillip Securities Pte Ltd to transfer your SBP shareholdings to your CDP GSA. Transfer fees apply at $21.40 (inclusive of GST) per counter chargeable by CDP and Phillip Securities Pte Ltd. Alternatively, you can liquidate your shares through POEMS online or your Trading Representative. The sale proceeds will be credited to your trading account. How do I pay for my investment? Interbank GIRO is used for fixed monthly transfer of funds from your bank account into Share Builders Plan for investment. You have to ensure that sufficient funds are available at least 6 business days before the Transaction Date (18th of every month or the next business day if 18th of the month lies on a non-market day). Who are the participating banks for this Inter-bank GIRO facility? All banks with Interbank GIRO Facility in Singapore. How long does it take for my Interbank GIRO Account to be linked with my SBP? It takes about 3 weeks to link up your GIRO. However, the processing times may vary with each bank. Can I start my SBP Investment pending my Interbank GIRO to be linked with my SBP? Yes, you can start your SBP investment while pending your Interbank GIRO linkage with SBP. You may pay by cash (cash over the counter is available at Raffles City ONLY) or cheque for your first SBP investment. For payment by cheque, please issue to payee “Phillip Securities Pte Ltd” with the total investment amount as indicated in your investment instruction. And, kindly indicate your SBP Number at the back of your cheque. Remember to inform your trading representative of your intention so we may cater for your temporary mode of payment. What if I do not have enough funds in my bank account? If you do not have enough funds in your bank account, your monthly investment will not be executed and there will be insufficient funds charge of $5.35 (inclusive of GST) to be deducted from your SBP ledger next month. If you have insufficient funds for 3 continuous months, your SBP will be suspended. If you wish to continue, you will have to re-activate your SBP Account and ensure that you have sufficient funds in your bank account for monthly investment deduction. Can I change my Interbank GIRO Account for my SBP? Yes. You can change the Interbank GIRO account for your SBP by submitting a new Interbank GIRO Application Form to us. However, please take note of the processing time for your new GIRO Bank Account to link up your SBP as it could lead to lapse of investment during this transition period. Hence, please ensure there are sufficient funds in your existing account in the meantime. When and how are the buying executed? The aggregate monthly investments of all clients for any particular selected SBP counter will be done on the 18th of every month (“Transaction Date”) on a non-discriminatory and non-preferential basis. If the 18th of the month falls on a non-market day, buying of the counter will be done on the next available market day. How are the shares allocated to me? You will be credited with the nearest rounded-down whole number of the designated share counter that can be purchased with your fixed monthly investment less the handling fee. How is the SBP handling fee deducted? You will have to indicate the preferred counter from which the handling fee will be deducted. The actual buy amount for the counter will be the buy amount you stated on the amendment of Investment Instruction minus the handling fees. You may amend your preferred counter via POEMS or by completing the investment instruction form. For example, if you indicate that your investment amount for SIA is S$300 and if our handling fee is S$6.42 (inclusive of GST), the actual investment amount for SIA will be S$293.58. Will the execution of my investment instruction be based on the whole amount of fund I have indicated? Since we cannot credit shares on a fractional basis, we will only buy shares to the nearest whole number that is available with your monthly investment minus the handling fees. The un-invested amount of fund will be rolled over to be aggregated with next month’s investment amount. How are the excess funds in my SBP Account being handled? If there are excess funds left in your SBP, these funds will be added to your current month’s investment amount for purchasing your preferred counter. The excess funds may arise from but are not limited to un-invested balances brought forward from previous month as well as corporate actions such as dividends, cash offers and bonus rights issue. For example, if you indicate that your investment amount for SIA is S$300. if the un-invested amount last month was S$8.70, then the investment amount for SIA this month will be S$302.28, which is the sum of S$300 plus the un-invested amount of S$8.70 less handling fee of S$6.42 (inclusive of GST). Can I put the excess funds from the SBP into the Money Market Fund (MMF)? No. The excess funds from the SBP cannot put into the Money Market Fund (MMF). You can sell your shares via POEMS online or from your Trading Representative. However, please check for the correct counter and quantity in your SBP Portfolio before selling your shares. It is also important for you to notify your Trading Representative that you are selling from your SBP shareholdings if you execute the trade/sale through POEMS online. How can I get the proceeds from selling the shares? Proceeds from the sale of shares will be credited to your shares trading account that is tagged to your SBP. Can I transfer my SBP shareholdings to my own CDP GSA? Yes, you can transfer the shares from your SBP shareholdings to your CDP GSA with a transfer fee of S$21.40 (inclusive of GST) per counter per transaction chargeable by CDP and Phillip Securities Pte Ltd. Shares transfer from Junior SBP to CDP GSA of the main account holder is NOT allowed. **Dividend charges will be equivalent to dividend amount, if the amount is less than S$1. Will I be entitled to the dividend payment? Yes, you will be entitled to dividends that declared by the respective company that you hold the shares. The cash dividends will be reinvested to your preferred counter by default. The cash dividends can also be paid out to you on request before reinvested into your preferred counter. We will not impose additional fees if the cash dividend amounts is less than S$1, or the cash dividend amount is less than or equal to the dividend charges. What about bonus issue and capital distribution? For bonus issue, it will be allocated to you based on the issue ratio and the number of shares you hold. As for capital distribution, it will be calculated and credited into your ledger balance. Will I receive entitlements to a rights issue? Yes, you will be credited with the rights entitlement based on your shareholdings. Am I able to subscribe for the rights issues allocated to me? SBP is a low cost saving product that presents an opportunity for client to invest in stock market to buy odd lots securities at a reduced cost. Therefore, to meet our objective to keep the product affordable for everyone, PSPL will arrange for the Rights Shares (the “Rights”) to be sold as “nil-paid” rights on the SGX-ST during the trading period. The net proceeds allocated after the deduction of a minimal handling fee of SGD5.35, if any, will be credited into your SBP to form part of the excess funds and will be reinvested into your preferred counter. If you would like to withdraw any excess funds from your SBP, you may do so by informing your respective trading representative at least 3 business days prior to the monthly “Transaction” date. What if the share counter that I am buying is suspended / halted on the execution day? If the share counter is suspended / halted on the execution day, the funds for investment will be rolled over to be invested in the preferred counter the following month. Who can I contact for more detailed information with regards to SBP? How can I start My Unit Trust Regular Savings Plan (UTRSP) again? Simply start a new UTRSP plan via Acct Mgmt > Regular Savings Plan (RSP) > Unit Trust RSP > Apply Plan. Setting up of GIRO linkage is not required unless your bank information has changed. If your holdings are at or above the minimum holding amount or minimum units that is required by the Fund Manager, your holdings will remain unchanged. You may retain them as a long-term investment. If your holdings are below the minimum holding amount or minimum units that is required by the Fund Manager, you will be requested to redeem your holdings. Subsequent UTRSP will be stopped until the fund is open for subscription. Your existing holdings will remain unchanged unless fund is to be closed. Am I able to change my UTRSP subscription amount? If yes, are there any charges? You will be able to change your UTRSP subscription amount as long as the minimum holding amount is maintained. To check the relevant amount, go to the fund information of the subscribed fund and look under Investment Amount. You can change it in your POEMS account via Acct Mgmt > Regular Savings Plan (RSP) > Change Plan (under Unit Trust RSP). A notice is required 30 business days in advance before the change is to take effect. No charges will be imposed for changes made. There are no fees imposed by Phillip Securities when you contribute to UTRSP online. However, for CPF transactions, the agent banks levy transaction charges of $2.50 and this fee applies to all CPF transactions including RSP and lumpsum, as well as across distributors. For RSP cash, there will be no penalty. However, RSP may be terminated after 3 consecutive unsuccessful deductions. For RSP CPF, a penalty charge may be imposed by the CPF bank. RSP CPF may be terminated after 3 consecutive unsuccessful deductions. Please go to UTRSP > Search Unit Trust Regular Saving Plan > Look under each fund’s fund information. Every child is a precious gift to us and we want the best for them. 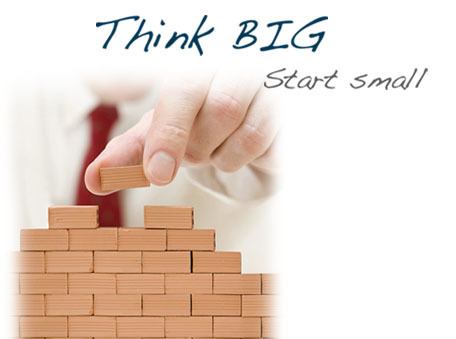 Open a Junior Share Builders Plan jointly with your child to give them a head start in life. You can start up with as low as S$100 a month with any counters that are available in Share Builders Plan. Important Notice: To apply for Junior Share Builders Plan, main parent applicant should have an existing POEMS account. Yes, I have a POEMS Login ID and password. No, I don’t have a POEMS account. This promotion is valid from 1st June 2018 to 31st December 2018. Existing Junior SBP clients who terminate or suspend the current SBP and apply for a new Junior SBP during the promotion period will not be eligible. However, existing clients who sign up for an additional Junior SBP will be eligible for the promotion. The 12 months handling fees rebate is subjected to successful investment upon approved GIRO linkage; the rebate will be credited into the SBP on the following month. The full amount of the credit received will be debited from the SBP should it be suspended or terminated within the first 3 months. Unit Trust Regular Savings Plan aims to turn market fluctuations to your benefit by managing risk with Dollar Cost Averaging. In this scheme, you enjoy the potential returns, reasonable risk and cost effectiveness of Unit Trust with a risk management tool. There are wide ranges of Unit Trust funds in Phillip which offer Regular Savings Plan facility. *A minimum investment amount may be applicable. Are you an existing Phillip Securities Client?